A Fun Festival for Family & Friends. Thank you to all who participated in this year’s Easter Eggstravaganza and made it a success! What is ConcordTV’s Easter Eggstravaganza? It’s a fun festival for family and friends, that took place on Friday, April 5 to Sunday, April 7 2019 at the Bektash Shrine Center in Concord. 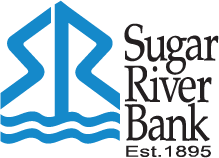 The Eggstravaganza is an Easter fantasy event with a bountiful array of themed Easter baskets that guests can win along with gifts, raffles, silent auction, children’s games, refreshments and even visits from the Easter Bunny! 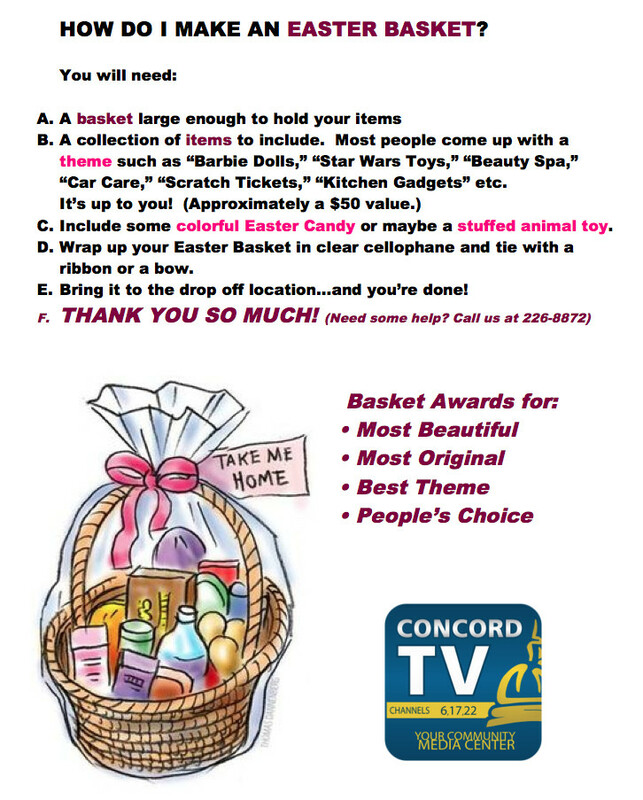 The Easter Eggstravaganza is a fundraiser for Concord TV, a nonprofit organization that provides Concord residents and nonprofits training and access to equipment as well as the opportunity to create programming. Monies raised go towards the purchase of equipment that will benefit the community and those who use its resources. Watch this short video to learn how the event works and be ready to go when you make your way to the Bektash Shrine Center in Concord NH on April 5th, 6th, and 7th! We’re looking for BASKET and SILENT AUCTION donors! It’s time to get in your basket donations! Make a basket to promote your business, non-profit, hobby, or passion… And through your donation, ensure the community has the equipment it needs for its media center. Click here to download the Basket and Silent Auction donation form. Need some hints on how to put a basket together? Check out this helpful graphic! Easter Eggstravaganza is chock full of great family entertainment. Be sure to check back and see the lineup. Area nonprofits will also have activity tables throughout the weekend. This includes the Concord Public Library and Kimball Jenkins School of Art on Friday evening, the Girl Scouts and Franco-American Centre on Saturday, Relay for Life on Sunday, and the McAuliffe-Shepard Discovery Center and Intown Concord all weekend long. The 2019 coloring contest is closed! You can still download the coloring page and have some fun, but we are no longer accepting entries for this year’s contest. Look for the winners at Easter Eggstravaganza! April 5, 6, 7, 2019. Please consider becoming an individual donor and supporting ConcordTV’s mission as Concord’s Community Channels and Media Center. We’ll recognize you during our Easter Eggstravaganza event! Click here to download the Donor Reply Form. Basket drop-off will take place at Ballard’s Ice Cream, 7 Broadway, Concord, NH. Times will be announced. Click here to download a copy of the Basket Donation Form. The 2019 coloring contest is closed. Please feel free to still download this year’s coloring page and some fun! The 2019 Coloring Page can be found here. The Easter Eggstravaganza is proudly produced by Concord Community TV (ConcordTV), a 501c3 nonprofit organization, and supported by the Bektash Shriners, producers of the popular annual Fez-tival of Trees. 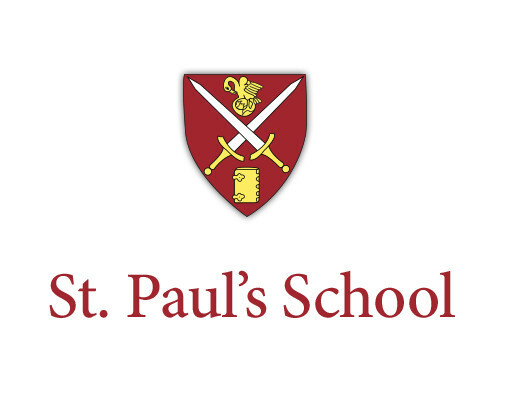 Special Thanks to Our 2019 Sponsors and Donors!